When discussing diversity and discrimination on a college campus, or anywhere in the US, the topic of weight is not one that immediately comes to mind. Yet, weight is an area of prejudice for many, often unintentionally. Slim people are often perceived as active and healthy, and are typically easily accepted into social circles. Overweight or obese people are often perceived as unhealthy, lazy, and lacking self discipline. An overweight person often has to put up with snickering behind his/her back or bear the brunt of jokes. Additionally, the media is constantly providing information regarding the health benefits of eating “right”, portion control, exercise, weight lose programs, and the cost of obesity on the US healthcare system. This bombardment often serves to reinforce negative opinions of overweight people. In 2009, Dr. Susan Alber questioned a new policy implemented at Lincoln University. (link to article below) All incoming freshman were required to have their body mass index (BMI) assessed. According to the Centers for Disease Control or CDC (accessed 3.20.14 at http://www.cdc.gov/healthyweight/assessing/bmi/adult_bmi/index.html), in adults a BMI below 18.5 is considered “below normal”, a BMI of 18.5 ­to 24.9 is “normal”, a BMI 25 to 29.9 is “overweight”, and a BMI > 30 is “obese”. If the BMI of the tested Freshman Lincoln University student was over 30 (which is accepted as an indicator of obesity), the student was required to take a course, “Fitness for Life”. If the student played a sport or decreased their BMI, they passed the course. While one might applaud the University’s effort to promote good health, it inadvertently discriminated against people with a high BMI. While certainly a useful tool to assess body composition, people who are smaller and stockier, or who lift weights may have BMI’s that my not truly reflect their health status. Consider the slender, lithe freshman with a healthy BMI of 15. Upon further assessment, you learn that this woman has esophageal issues due to daily vomiting; or, the thin student who lives on diet coke and fries. Are these students any healthier than the student with a BMI of 30? College and universities should encourage healthy minds AND bodies. Implementing this philosophy is a difficult task. Did Lincoln University go too far? Should Widener adopt a similar program? What do you think? Article: Weighing College Students:Discrimination or Life Saving? Thanks for sharing this post. I am fascinated by the pervasive nature of this prejudice in the US. 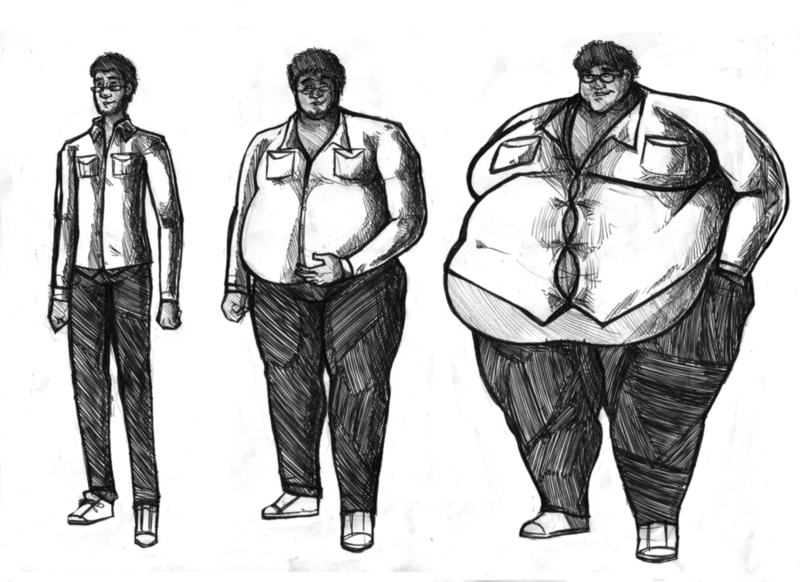 Even during classroom discussions on prejudice students readily assert that overweight people are lazy and unhealthy, which has associations to many other negative character traits. I am fascinated by the time and energy Lincoln University put into developing a policy and Fitness for Life. I applaud them for taking interest in the students BMI. More campuses should because there is a lot of obesity on college campuses especially with Freshman. It may be a good idea for Widener to adopt a policy or continue to offer healthy options in the cafeteria and activities on campus. The article was very interesting. It might be a good idea for Widener to adopt a policy to promote healthy practices. Thanks for the article – it was a good one.